Thinking about opening a shoe shine equipment and supplies business? Here is a summary of the most important things you should consider when opening a shoe shine equipment and supplies business. Thinking about opening a shoe shine equipment and supplies business? We tell you what you need to know to get started. Shoe shine stands aren't nearly as commonplace as they once were. But despite the industry's declining demand, there are still plenty of shoe shine stands available to discerning commuters and professionals who need to look their best -- and all of these stands need to purchase supplies and equipment from someone. The key to launching a successful shoe shine equipment and supplies business is to know the shoe shine industry like the back of your hand. If you've never shined shoes before, you'll need to rapidly acquaint yourself with the trade in order to understand the processes and providers in today's marketplace. 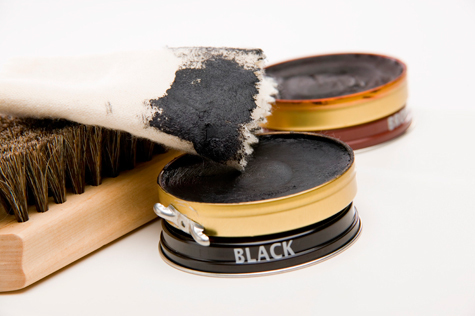 Shoe shine equipment and supply companies have three target markets for their products: (1) Shoe shine stands, (2) Specialty shoe shine providers, and (3) Consumers. The specialty market consists of creative opportunists who provide shoe shines at trade show booths and other venues, while the consumer market is geared toward non-commercial grade products for home or office use. Since you'll likely need to target all three groups to hit your revenue goals, you'll need a diverse marketing mix that is capable of communicating key messages to a broad cross-section of customers. Likewise, you'll need to include an online store as one of the marketing channels you rely on to attract and convert customers. Prospect or mailing lists can be useful resources for identifying sales prospects. Good prospect lists need to be accurate and up-to-date; stale lists are less than worthless because they consume valuable time and effort that could be better spent selling to legitimate prospects. Mailing list providers like Experian provide quality mailing and prospect lists that can be sorted according to a variety of criteria including geography and business size. Although a purchased prospect list doesn't guarantee an influx of new customers, it dramatically increases your likelihood of success. Does your shoe shine equipment and supplies business have a business plan? If not, your company is lacking a critical business tool. If you have invested time and effort in its creation, your business plan will keep you new venture on course and help you avoid the pitfalls that plague other startup entrepreneurs. Time and time again, the best entrepreneurs we see rely on professionally crafted plans to guide their decision making. However, outsourcing doesn't completely eliminate your responsibilities in the writing process. As the primary stakeholder in your shoe shine equipment and supplies business, you will intentionally need to insert yourself in various stages of the plan's development. Prior to opening a shoe shine equipment and supplies business in your area, it's worthwhile to see how strong the competition is. We've provided the link below to help you get a list of local competitors near you. Complete the form by entering your city, state and zip code to get a list of shoe shine equipment and supplies businesses that are close by. If you want to open a shoe shine equipment and supplies business it's a wise move to speak with somebody who is already in the business. If you think your local competitors will give you advice, you're being overoptimistic. It'd be crazy for them to teach you the business. Fortunately, somebody who runs a shoe shine equipment and supplies business in a location that is not competitive to you can be a great learning resource for you, provided that you won't be directly competing with them. Many business owners are happy to give advice to new entrepreneurs If you are persistent, you can find a business mentor who is willing to help you out. So, what can you do to find an entrepreneur who is running a shoe shine equipment and supplies business that lives outside of your area? Is It Easier to Buy an Existing Shoe Shine Equipment & Supplies Business? As an aspiring business owner, the decisions you make now will have huge implications later, including the decision to either start a business from scratch or buy an existing shoe shine equipment and supplies business. In general, purchased shoe shine equipment and supplies businesses fare better than startups, at least during the initial few years. When you buy an established shoe shine equipment and supplies business, you gain access to a functional business operation with a customer base and a steady revenue stream. Entrepreneurs who are committed to a highly unique value proposition may need to pursue a startup approach. However, in today's business-for-sale marketplace, there is an abundance of shoe shine equipment and supplies businesses worth considering. Your chances of achieving the entrepreneurial goal of thriving in your new business are higher if you buy a franchise and leverage their successful brand and track record. Before you get too far along in your plan to open a shoe shine equipment and supplies business, you ought to determine whether buying a franchise could increase your chances of success. What haven't we covered regarding starting a shoe shine equipment and supplies business? Sharing your thoughts will help the hundreds of thousands of small business owners who visit this site looking for advice. Already Own a Shoe Shine Equipment & Supplies Business? Do You Sell to Shoe Shine Equipment & Supplies Businesses?